Hey there everyone, today I'm hosting a giveaway from my new featured sponsor, Albion Fit! Albion Fit makes some great fitness wear, including tops, bottoms, sports bras, and swimwear. I just got a package in the mail from Albion with some of their items to review and so far I absolutely love them! In addition to creating great fitness gear, designed by women, they're also committed to the environment and community by striving to make their manufacturing facility greener each day and by using earth friendly materials in their products. They also follow fair labor practices with all of their employees and business partners to create a sustainable work environment, which is great! 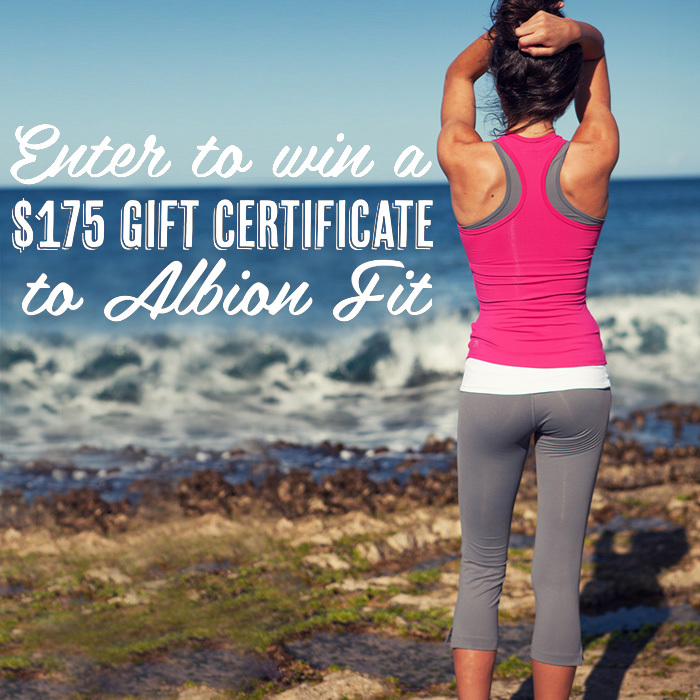 Today I'm giving away a $175 gift certificate to Albion Fit so you can pick up some of their great clothes for yourself (and maybe help get back to that fitness new years resolution, haha). Just follow the directions below to enter the giveaway!